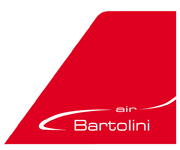 Welcome to flyinpoland.com, the website of Bartolini Air! Bartolini Air provides EASA approved professional flight training with students obtaining consistently high pass rates. All flight training takes place at the Lodz Lublinek (EPLL) airport in Poland. EPLL is an international airport with a 2500 meter long runway equipped with ILS/VOR and RNAV navigational aids. As a controlled international airfield with low volumes of commercial air traffic EPLL is ideal for ab initio flight training. All aircraft are equipped with EFIS "glass cockpit" avionics and maintained at our in house CAMO facility. ATPL theory courses are organised in co-operation with Bristol Groundschool, Europe's leading EASA distant learning specialist. All practical instruction and theory lectures are taught in English. If you are interested in training with us please call Aleksandra Kapela on +48 508194180 or send an email to akapela@bartoliniair.com .